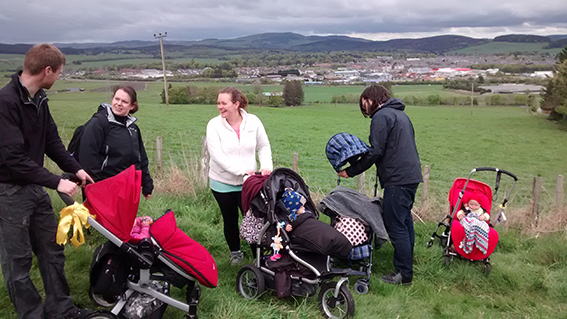 Despite threatening to rain all day we were lucky with the weather, and even had a moment or two of brightness as we walked up the Clashmach, just past the last house, to our picnic spot at the limits of reach for prams, pushchairs and buggies. 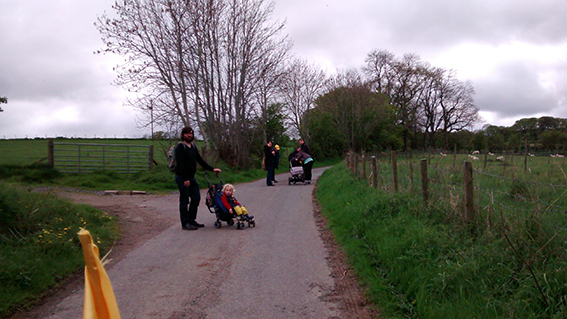 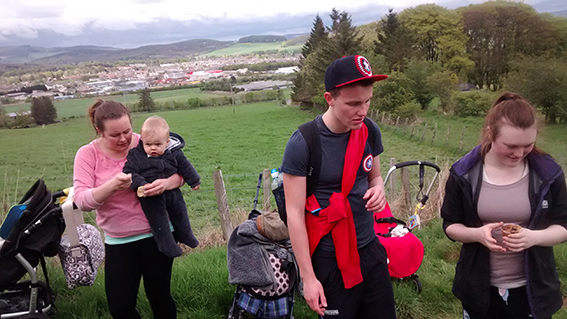 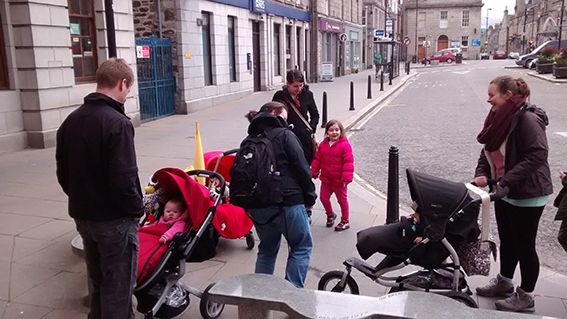 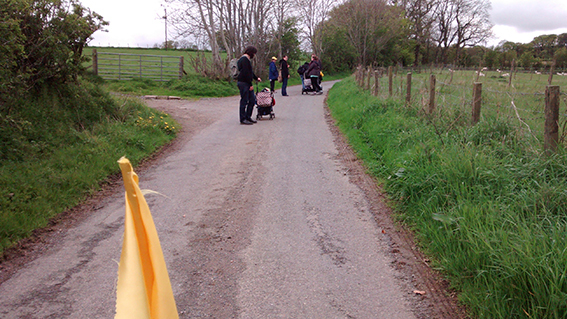 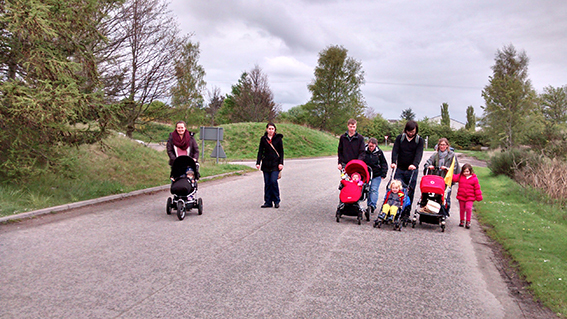 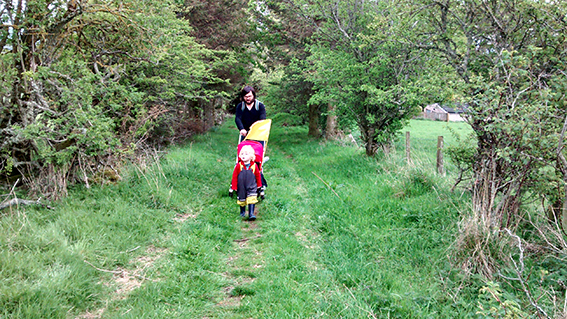 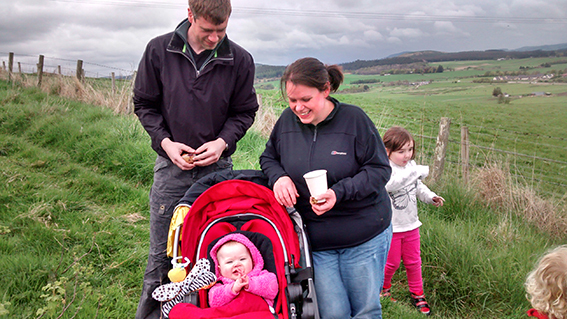 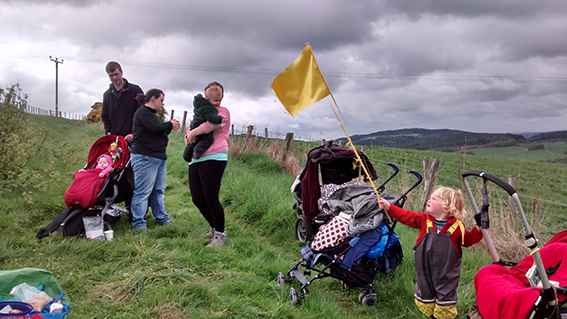 4 prams, 3 babies, 1 toddler, 6 adults and 1 child made it up and back – we think we accumulated a marathon between us! 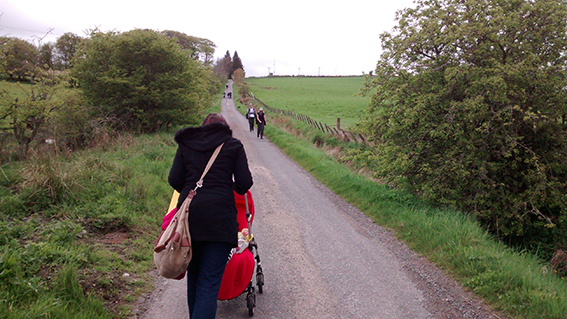 The stretch up towards the last house (the final part of the walk) was pretty challenging – even though I’d tested the route today I had Ernest in the Maclaren buggy, and was properly out of breath by the time I got to the top. 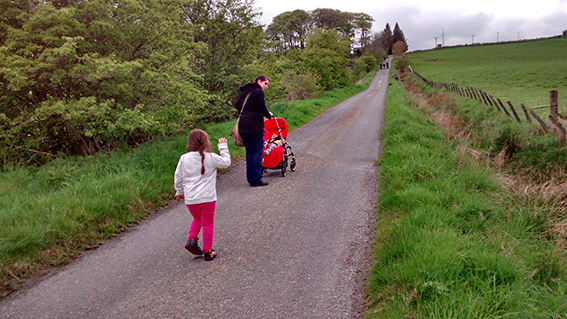 Definitely a good workout. 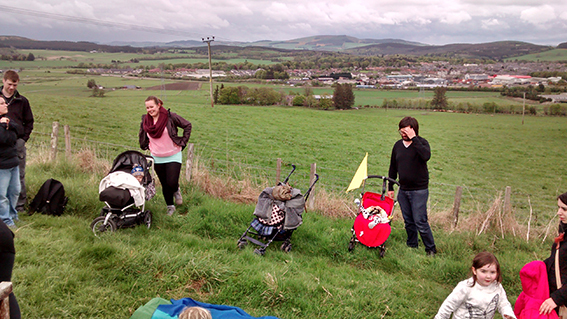 The first marathon walkers passed us just outside Asda, and a few more as we climbed, but we were in position on the hillside to greet several of them coming down (we even shared our tea and cake with them). 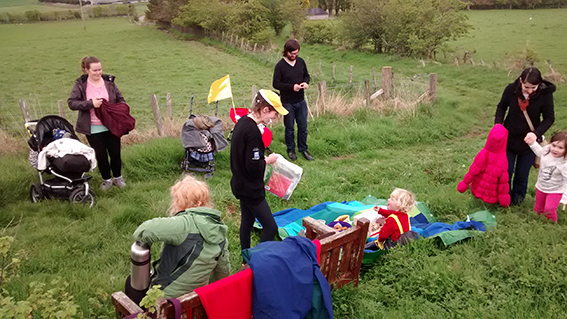 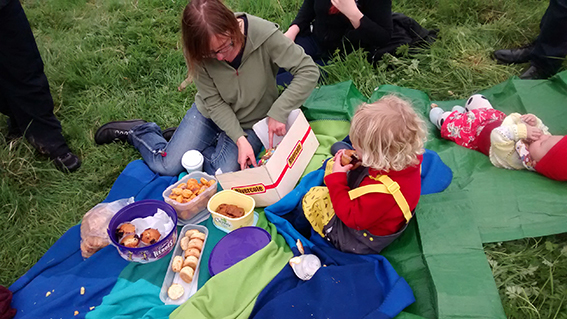 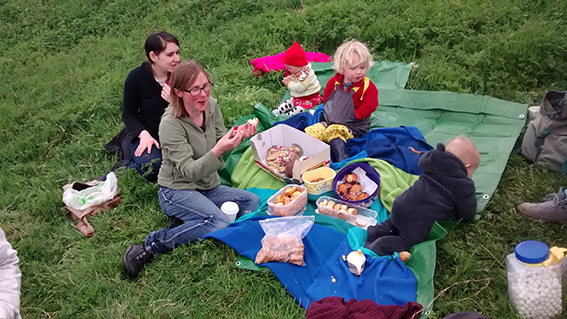 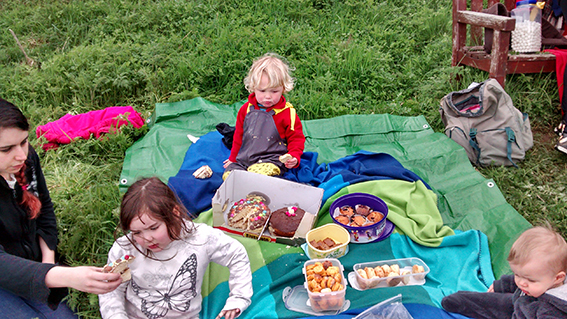 It was a great spot for a picnic, with some delicious cake, scones and biscuits (baby-friendly and adult friendly too). 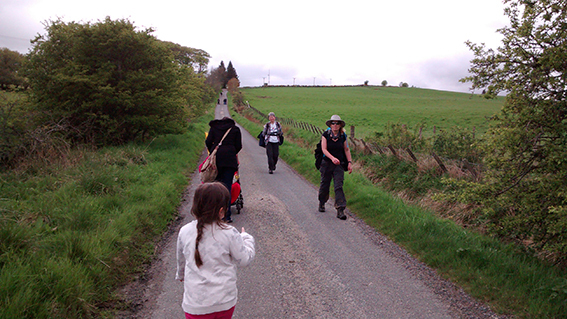 We returned down the hill around 5.30pm, accompanying walkers on their final descent of the day. 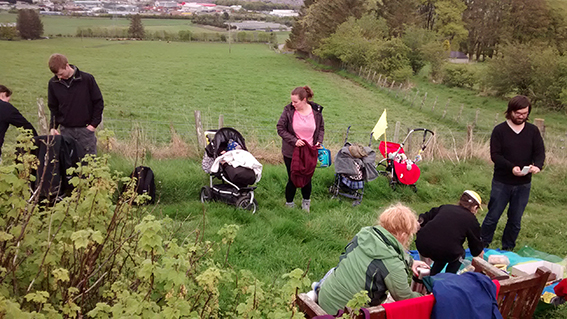 The downhill run wasn’t nearly as tough as the up, though not without challenges as the older children were tired and took turns in and out of the buggy. 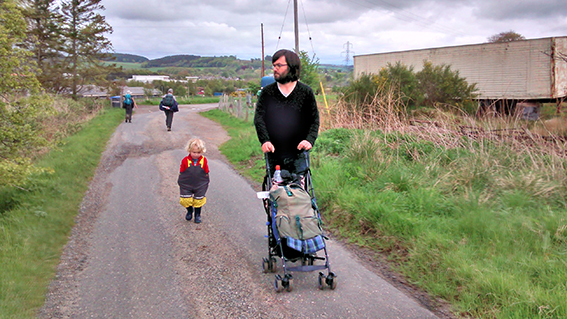 Over the next weeks I’ll be testing other paths out of Huntly, finding the edges of accessibility for prams and pushchairs. 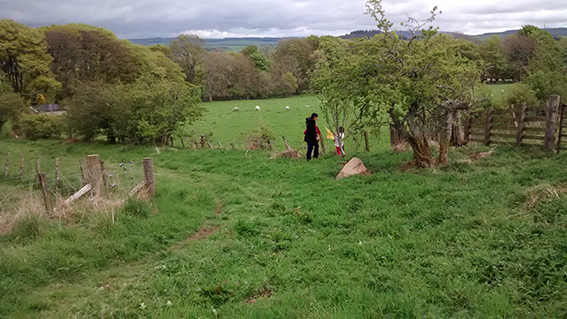 If you’d like to join me for a ‘testing the edges’ walk please get in touch.